Is it Really Technology that Makes a Smart Hotel? To do so, hotels have gone one of two ways: giving guests total control (e.g., control over lights, air, and so forth all from a mobile app) or making sure they don’t have to control anything by doing it for them, usually behind the scenes (e.g., nightlight sensors by the bed that light up automatically when they sense someone is moving in the night). While all of this technology is super cool, true tech intel actually comes from how you integrate the technology and what you do with what you learn. This makes a hotel smart with a capital S. Let’s look at some examples. Smart thermostats allow guests to control their air conditioning and heating from their mobile devices, even from off-property locations. While this is good technology, we’d venture to say the real value in this lies not in the control it gives guests, but in what hotels can learn about guests and their habits—and what energy efficiency measures can be taken to reduce operational expenses in the long term. To do this, the technology must be plugged into the bigger data picture so that the information can be gathered and analyzed. Smart showers can do everything from automating the temperature controls and water pressure to allowing guests to turn the glass from frosted to transparent with the touch of a button. Again, there is a wealth of information for hotels to gather here, including intelligence that can inform choices around water heating and smarter selections of shower faucets. And though it may seem trivial, what if guests really prefer frosted glass showers and those showers are far less challenging for housekeeping to maintain, which, when multiplied by hundreds (or thousands) of hotel rooms creates a surprising avenue for savings? IBM is using Watson to create what they call an in-room cognitive concierge. What it boils down to is eventually having the ability to walk into a hotel room and have total voice control over everything from the blinds to your restaurant reservations. And IBM gets the potential, noting, “We are working to help these technologies get smarter by enabling them to learn about guests over time, based on previous stays. Just imagine if the in-room concierge could tie your past hotel and in-home preferences so the next time you open your hotel room door, the settings are immediately customized to your likings” (THINK Blog). Robotics like Maidbot, which will vacuum and make beds, intend to increase efficiency for repetitive tasks, as well as reduce workplace injuries. But there’s another benefit. Integrate data from a robot with the PMS, such as the exact moment a room is ready, and trigger a text to the next guest that they may check in early for a minimal fee, and you have increased efficiency, improved guest satisfaction, and increased revenue. 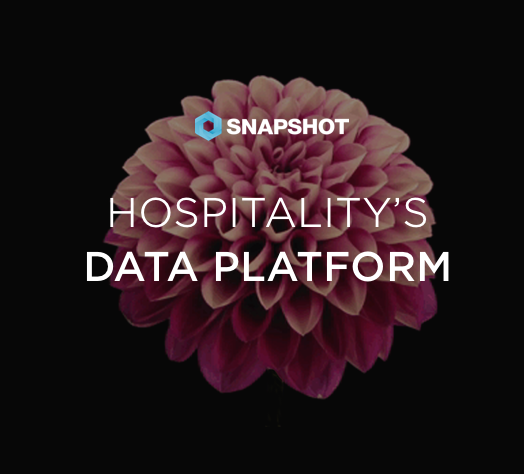 As hotels begin to take advantage not only of new guest-facing technologies but also of the benefits of gathering and integrating the data from various technologies, it will become increasingly important to have a centralized tech storehouse. This storehouse is a space where the technologies can be accessed, where they talk, where they can be built upon and melded together for innovative new services and uses. Instead of a slippery octopus with many arms, hotels need their technology to be rooted and firm, a tree with a solid trunk that has healthy branches, each of which is connected to the same root system. In a framework such as this, hotels can really get smart.